How did our Daniel Wolfe celebrate the end of a hectic tax season? He went to Disney World in Orlando. While he was there, he laced up his sneakers and participated in the Star Wars Dark Side 5K at Epcot. 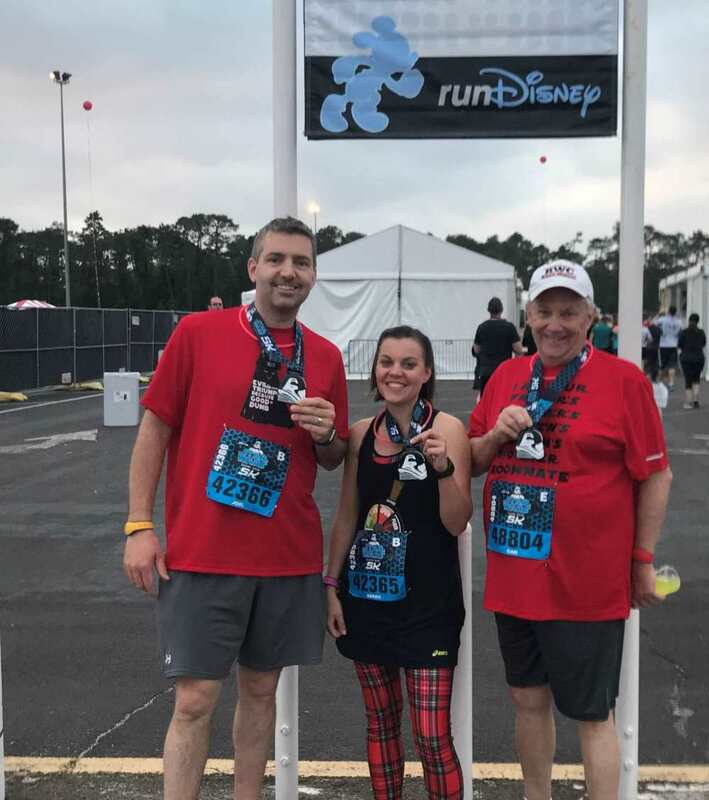 The Force was with him for the 5:30 a.m. race, as were his son Joel Wolfe and daughter Sarah Carr. Dan is a big Disney World fan, as he and his family have visited Mickey Mouse and his friends practically every year since 2002. He and his wife honeymooned there in 1973, and they began taking their young children there in about 1980. This most recent visit was a great way to let off some steam after a hectic tax season that often involves 60 to 70-hour work weeks from January to April.